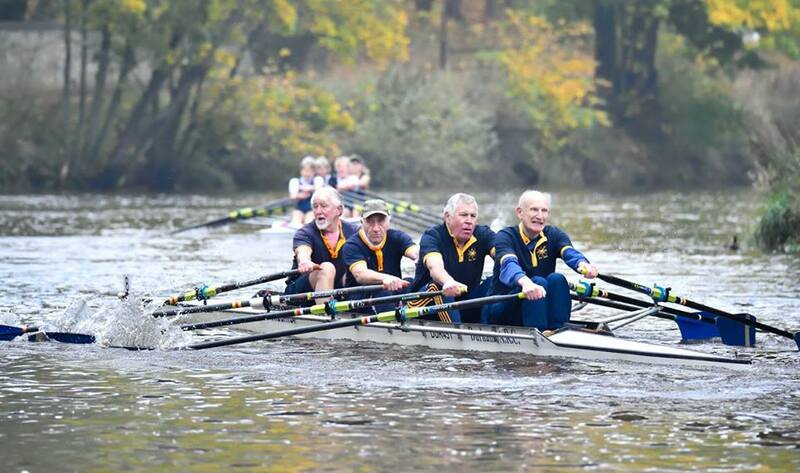 Durham Amateur Rowing Club Chairman Barry Hudson has been awarded the MBE for Services to the Community and Rowing in the Queen’s Birthday Honours. Barry is a long-standing member of the Club which he has served in many capacities for over 50 years. Born in Sidegate in Durham City in 1945 Barry was educated at St Margaret’s C of E Infants and Juniors and Durham Johnston Boys Grammar School before training as a Chartered Surveyor as articled clerk to Geoffrey Wood at J.W.Wood and Son, Durham and was then employed in the Civil Service as a District Valuer for 40 years. As a boy the banks of the River Wear were a “playground” and he soon found his way to the Durham Amateur Rowing Club where Rowing became a lifelong interest. On becoming a Member in 1959 he first tasted victory coxing a four stroked by future DARC President Bill Parker. In 1967 he took on his first Committee role as Club Treasurer and soon afterwards became club representative on the Durham Regatta Committee, later becoming a Town Representative, a position he still holds. As Treasurer he organised the first Wear Regatta, later renamed Durham City Regatta, and became the first Regatta Secretary. A major project at the time was the building of a new Boathouse on the Club’s move to its present site. In 1971 he became Vice Captain and soon afterwards Club Captain. After being elected a Life Member in 1974 he moved away to pursue a Civil Service career, joining Newark Rowing Club where he served as Regatta Secretary until 1976. He then moved to West Yorkshire and joined Bradford Amateur Rowing Club. He qualified as an Amateur Rowing Association Bronze Level coach in 1978 and in 1983 became an ARA Umpire (a role he continues to carry out), moving back to Durham in 1984 and continuing his membership of Durham ARC and the Durham Regatta Committee. His next roles were as Press Officer from 1987 to 1989, and in 1990 Assistant Secretary. In 1991 he became Club Secretary, a position he was to hold for 25 years until 2016. During his term as Secretary he acted as Project Manager of Durham ARC Building Project (1997-2007), culminating in the opening of the new £1 million Boathouse in September 2007. Responsible for overseeing the funding and development of the new premises he established partnerships with local schools and encouraged the expansion of the Club to all ages and abilities, and the use of the premises by other community organisations. In 2010 he produced a History Timeline for Durham ARC to mark its 150th year. 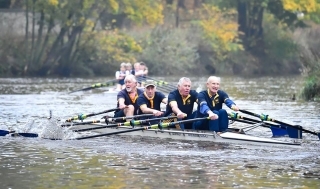 In 2011 he was appointed a Director of Durham Regatta when it registered as a limited company. Also in 2011 he received the Durham City and Chester-le-Street Award for Contribution to Sport, the Durham County Award for Contribution to Sport and the BBC North East and Cumbria Award for “Sporting Inspiration”. In 2012 he was appointed Trustee of a new charity the “Wear Education and Water Sports Centre” based at Durham ARC, as well as being awarded the Queen’s Diamond Jubilee Medal by British Rowing (one of 60). Barry took on his current role as Chairman of Durham ARC in 2016, remaining actively involved as administrator, rower, umpire, and coach. He is married and has two sons and two granddaughters. This entry was posted in Club News on June 17, 2017 by Colin Lawson.